I just completed my latest project and uploaded the full text and images from the 1934 Air Transport Facts phamplet. As civil air travel was starting to grow the industry was singing its own praises and reassuring the public of how safe it was to fly. Because of the improved motor exhausts, geared engines, which reduce propeller noise, and scientific insulation of the airplane cabins, our modern air liners have reduced noise to a minimum. There are 600 planes in service on air lines in the United States and operating under the American flag to other countries -- one air liner for every 9 Pullman cars. 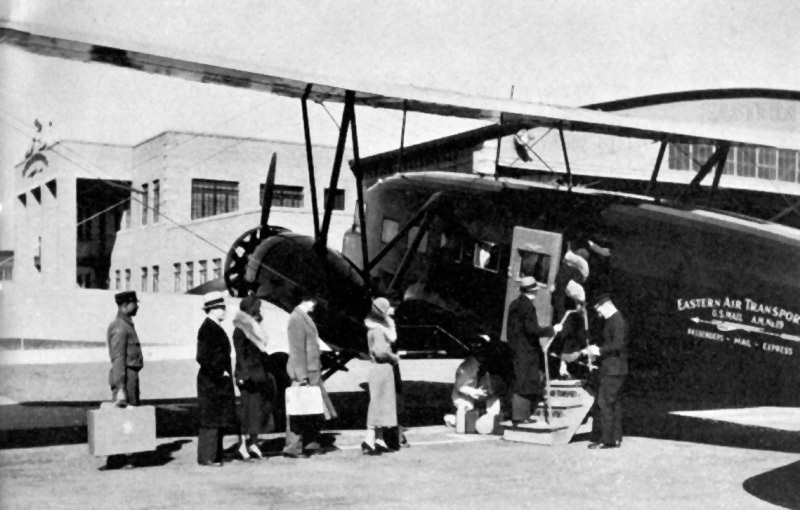 An average of 1,550 men, women and children, three-fourths of a million letters and 4,700 pounds of express were flown over our air lines every 24 hours during the first 10 months of 1933. PaperBackSwap.com: Swap paperback books for free. Secret room: Conceal a closet behind a bookshelf. The newly launched Box Of Apples is a wonderful collection of vintage crate label art. The scans come from labels used to market fruit from the 1900s to 1950s. Anyone interested in turn-of-the-century graphic design will love these. The United States reached a population of 300 million on October 17, 2006. But where does everyone live? 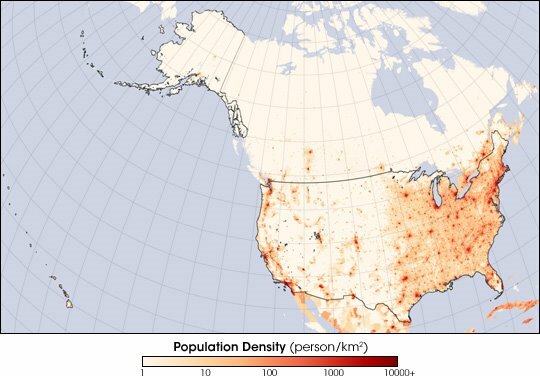 NASA's population density map shows most people live east of the Mississippi River. Here is Arnold Schwarzenegger performing in a Japanese commercial. Here is a gallery that illustrates changing New York with photos taken from the same vantage point at different periods in time.